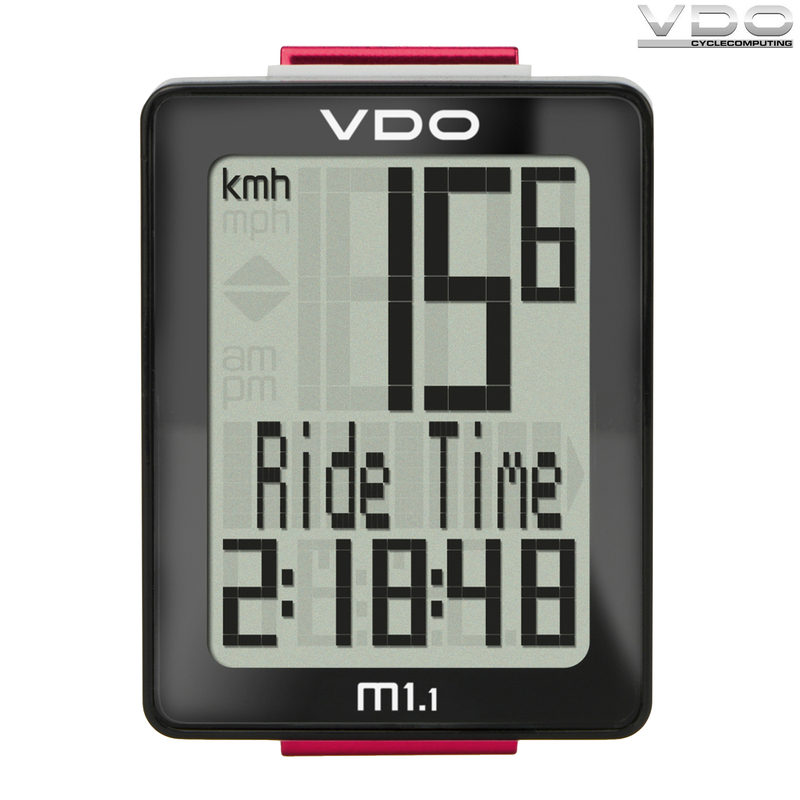 The VDO M1.1 focuses on the essential bike functions and displays two of them permenantly. This enables users to keep a constant eye on all the important functions and features. The best choice for those who like to keep things simple. In addition to its huge display, the VDO M1.1's main strength lies in its straightforward, minimilistic functions. Streamlined for purists, the VDO M1.1 comes with all basic bike functions for complete cycling pleasure. Its impressively large display makes the VDO M1.1 easy to read while cycling. It offers plenty of space to display two statistics using particularly large digits, which can be read quickly so that users can keep their eyes on the route ahead.